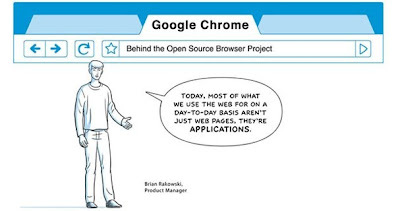 Snark: Ode to Google Chrome in Headline Verse and BONUS FEATURE! Secret Images of Google Earth! Ode to Google Chrome in Headline Verse and BONUS FEATURE! Secret Images of Google Earth! Google releases a new browser called "Google Chrome," thus taking on Giant Microsoft. This calls for an "Ode to Google Chrome in Headlines." EETimes: "Google claims browser is easy on memory, CPUs"
Negative Approach: "Google Chrome and the fear of Zunezilla"
HeraldSun.com.au: "Google's Chrome browser out early"
that kids DO do the damndest things. The Science Christian Monitor: "Google’s reach extends further with Chrome"
BoomTown: "Liveblogging From the Google Chrome Launch: Hello, Sundar!" ars Technica : "Google unveils Chrome source code and Linux port"
ABC News: "Google Polishes Product Line With Chrome Browser"
Snark: "Ode to Google Chrome in Headline Verse"
Secret Images of Google Earth! MUSIC IS FROM VAN HELSING. THESE ARE REAL PHOTOS FROM THE GOOGLE EARTH SATALITE.